Many point to Electric Wizard’s 2000 release Dopethrone as the band’s finest work and it is hard to disagree. However, Wizard Bloody Wizard shows the band is still capable of producing ear deafening doom metal 24 years since its formation. There is a looming darkness on his record even during its light moments which comes through in the muddled fuzz and feedback. Yes, the production is muddy, but not amateur or poor. It harkens to the production of Sixties and Seventies hard rock and metal records, only with a modern polish. The major weakness is the tinny sound of the guitar leads. There is some great lead guitar work on Wizard, unfortunately it is sometimes drowned out by the rhythm guitar and bass. 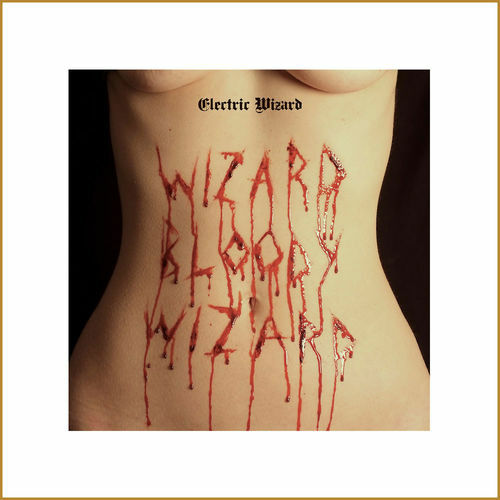 Wizard Bloody Wizard gets its point across in six songs which is Electric Wizard do sludge metal like no one else. Sure, this record is not up to par with the band’s earlier releases but that means little in the long run. The band’s heaviness has not dulled and the epic “Mourning Of The Magicians” is one of the band’s best songs. Pick this record up if you love the band or need some doom to crush your ear drums.